This is the 2010 Toyota Highlander AWD. The Toyota Highlander is smooth and comfortable, a crossover SUV with generous space for passengers and cargo. 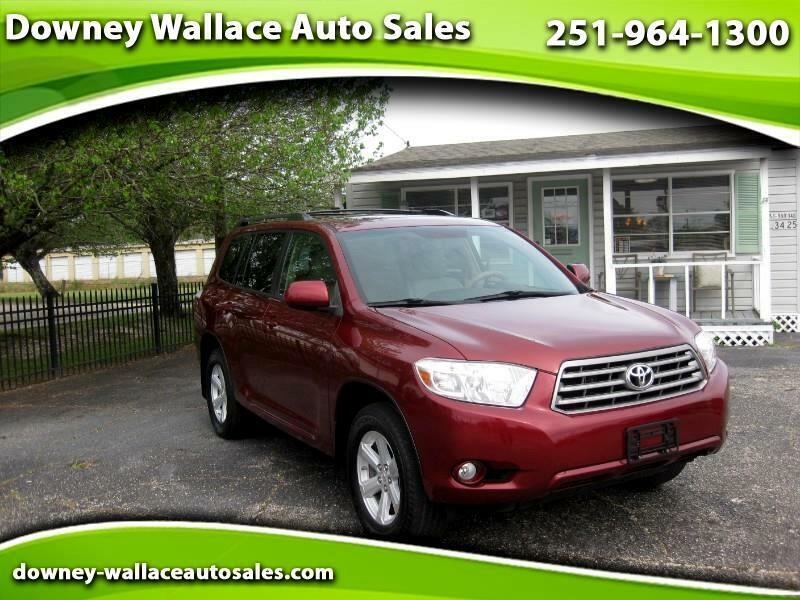 A versatile cabin adds to the attractiveness of the Highlander as a family vehicle. The second row can slide forward and back, and the third-row seat is hospitable for children and capable of carrying adults. Getting in and out of the first two rows is easy. The Highlander is a so-called crossover, meaning it's built more like a car than like a truck. The Highlander is based on the architecture of the Toyota Camry midsize sedan. As a result, the Highlander offers a quiet cabin and a luxurious ride quality. The condition of this Highlander is fantastic both inside and out. As stated it comes with a third row seat but if you do not need that third row all the time it folds flat and as you can see in photos there is a cargo mat to protect your carpet from whatever you are hauling. There is also a DVD player to entertain the kids. We tested it and yes it does work. The Carfax report shows that there have been NO reported accidents or issues and has had 2 prior owners. Those 2 took great care of this Highlander has you can see in its condition. The mileage is 95,273 plus and that is under the national average (15,000 miles each year). Based on the average is should have about 123,000 miles. This 2010 Toyota Highlander has nearly 2 years less of driving on it. This is a beautiful vehicle that you will be proud to own and drive the family in. Hurry on in today and make it yours. You won’t regret it!